If you are looking to purchase a lawnmower use our helpful infographic to discover what type of lawnmower you need. It’s a quick and easy guide for homeowners; however we do have a vast range of lawnmowers including those which are specifically designed for commercial use. At The Mower Shop we believe it’s important that you get the right lawnmower for the task at hand. Remember, if you get stuck just give the team at The Mower Shop a call because we are more than happy to help. 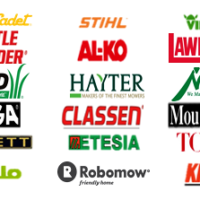 Telephone us today on 017885 104 53 to speak with us directly or complete our online contact form and we’ll be in touch shortly to discuss the types of lawnmowers we have available in Northampton. ← When is it Beneficial to use a Rotary Mower?